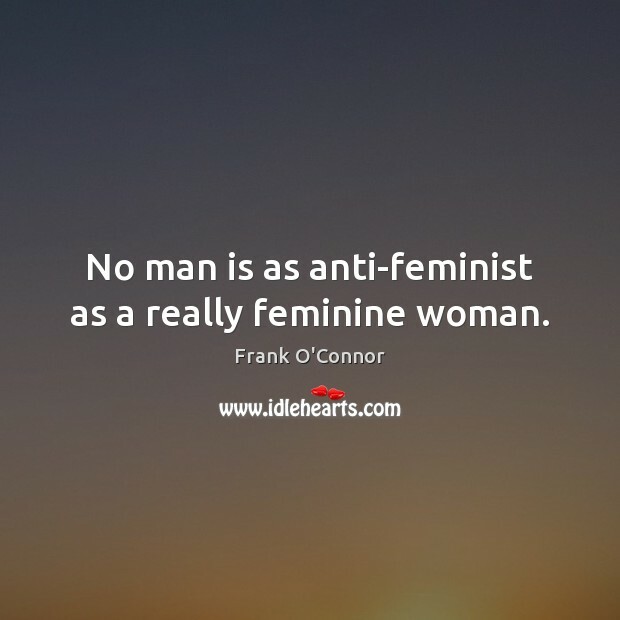 Quotations about Anti Feminist. Quotes to stimulate mind and drive action! Use the words and quote images to feed your brain inspiring things daily! 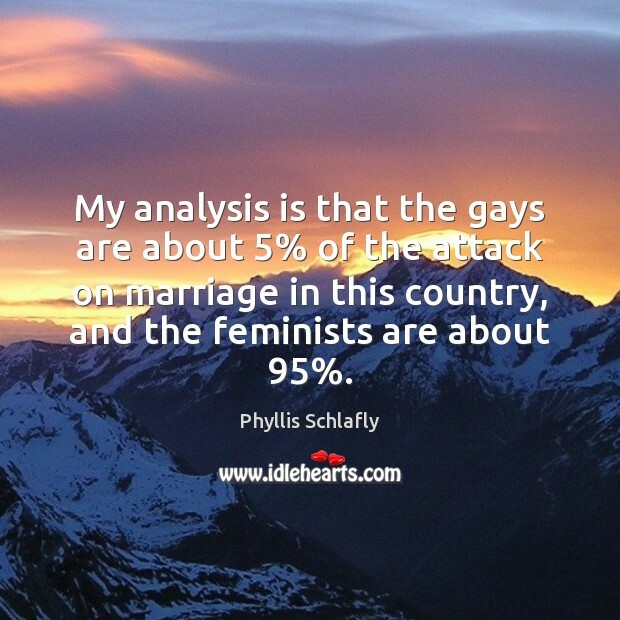 My analysis is that the gays are about 5% of the attack on marriage in this country, and the feminists are about 95%. 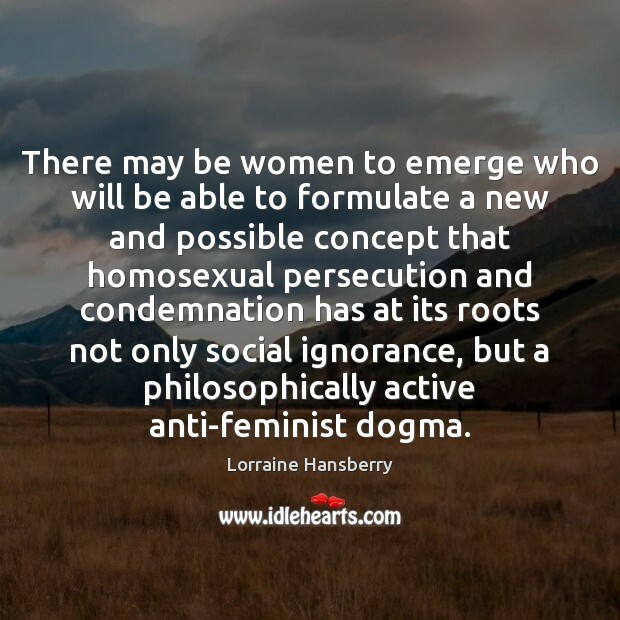 The feminist movement taught women to see themselves as victims of an oppressive patriarchy. ... 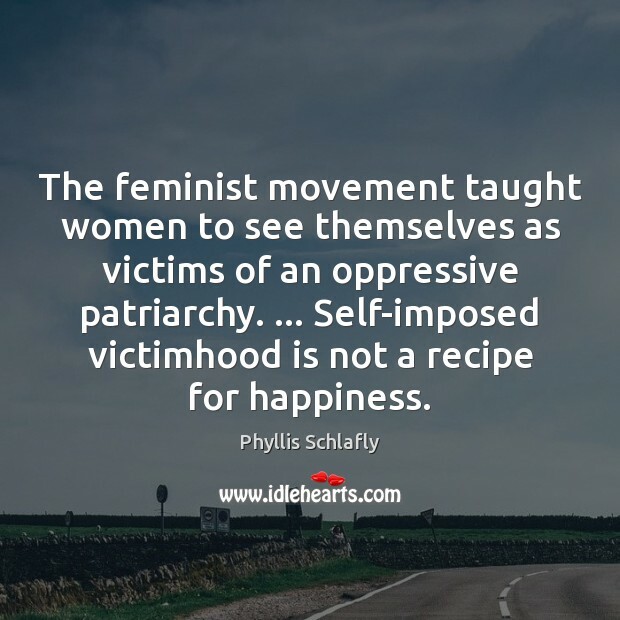 Self-imposed victimhood is not a recipe for happiness. In the name of Christ, I refuse to be anti-gay. 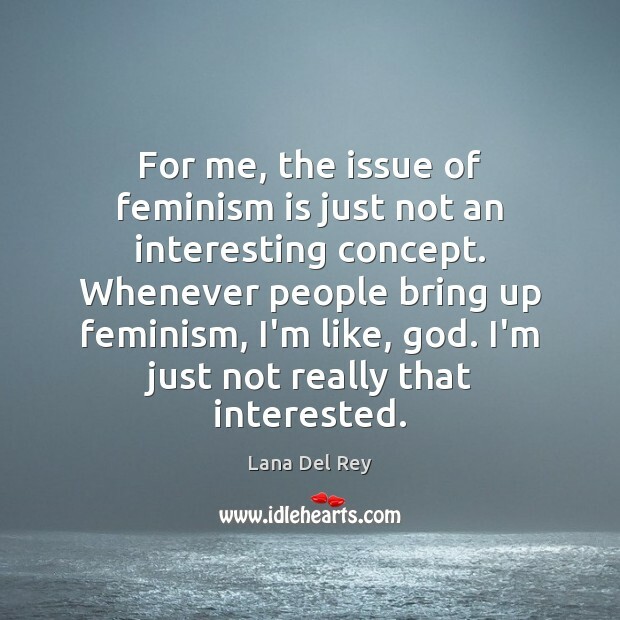 I refuse to be anti-feminist. I refuse to be anti-artificial birth control. I refuse to be anti-Democrat. I refuse to be anti-secular humanism. I refuse to be anti-science. 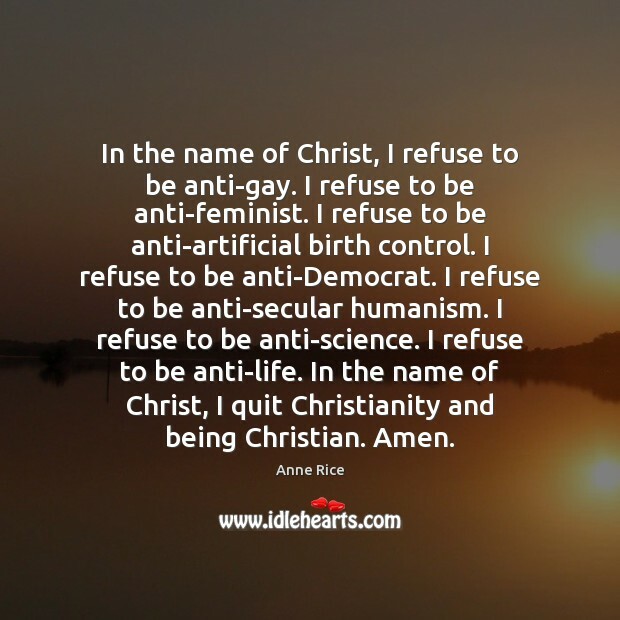 I refuse to be anti-life. 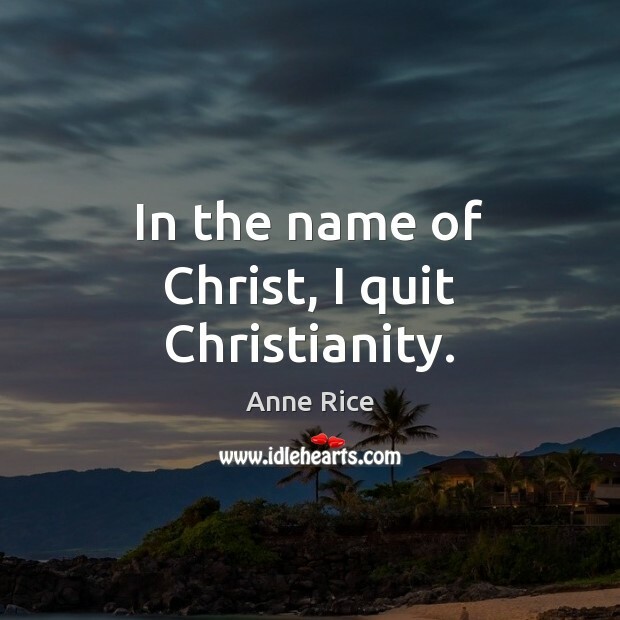 In the name of Christ, I quit Christianity and being Christian. Amen. In the name of Christ, I quit Christianity. Ive never been against women. That anti-feminist rap is bogus. 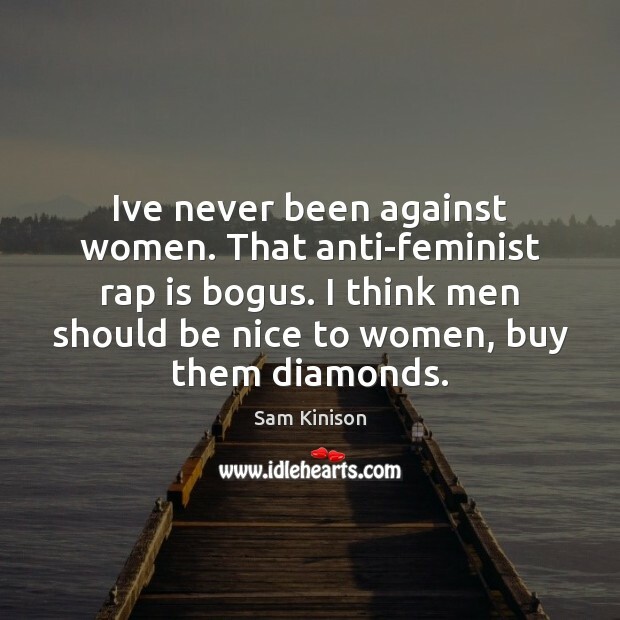 I think men should be nice to women, buy them diamonds. I've heard people say that 'The Blair Witch Project' is a feminist movie because there's a woman in charge and I've heard it called a completely anti-feminist movie because this woman screws everything up. Who cares really? It's just a movie. 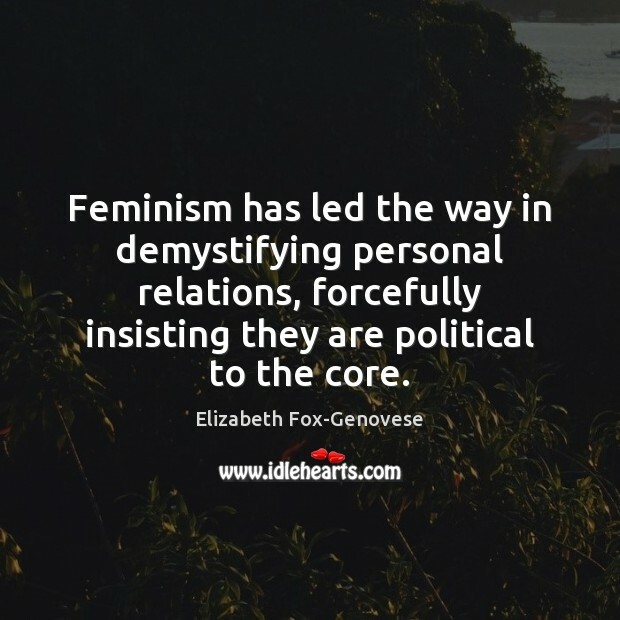 Feminism has led the way in demystifying personal relations, forcefully insisting they are political to the core. 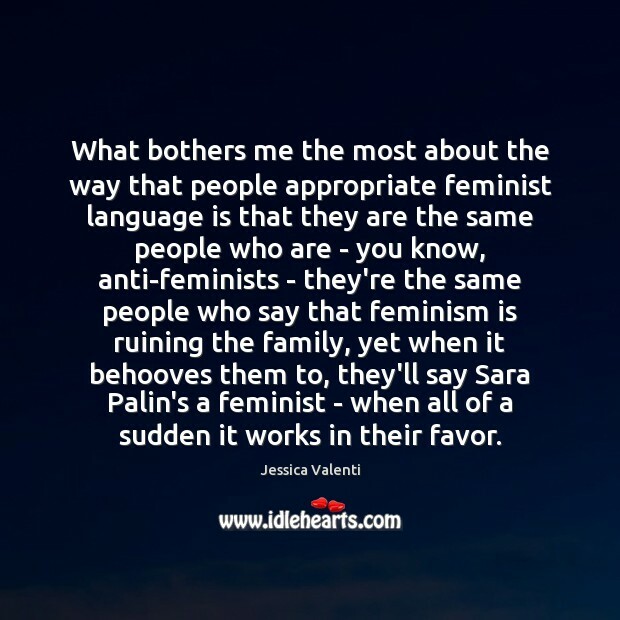 What bothers me the most about the way that people appropriate feminist language is that they are the same people who are - you know, anti-feminists - they're the same people who say that feminism is ruining the family, yet when it behooves them to, they'll say Sara Palin's a feminist - when all of a sudden it works in their favor. 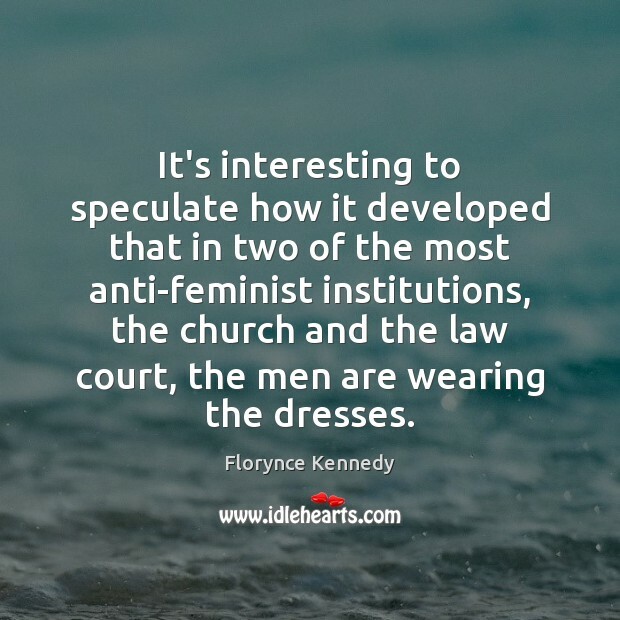 To say anything about women and men without marking oneself as either feminist or anti-feminist, male-basher or apologist for men seems as impossible for a woman as trying to get dressed in the morning without inviting interpretations of her character. 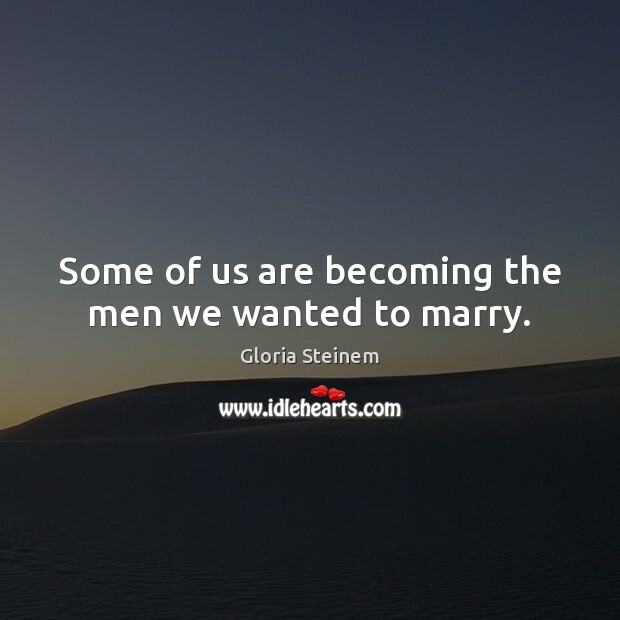 Sitting at the conference table musing on these matters, I felt sad to think that we women didn't have the freedom to be unmarked that the men sitting next to us had. Some days you just want to get dressed and go about your business. 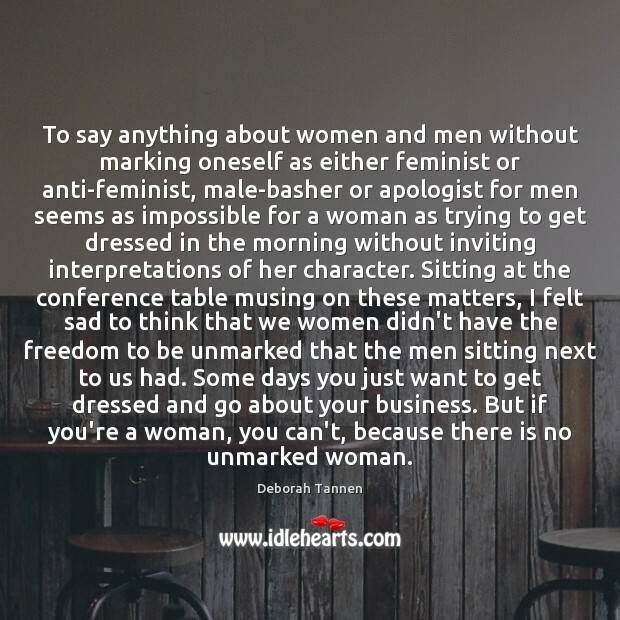 But if you're a woman, you can't, because there is no unmarked woman. 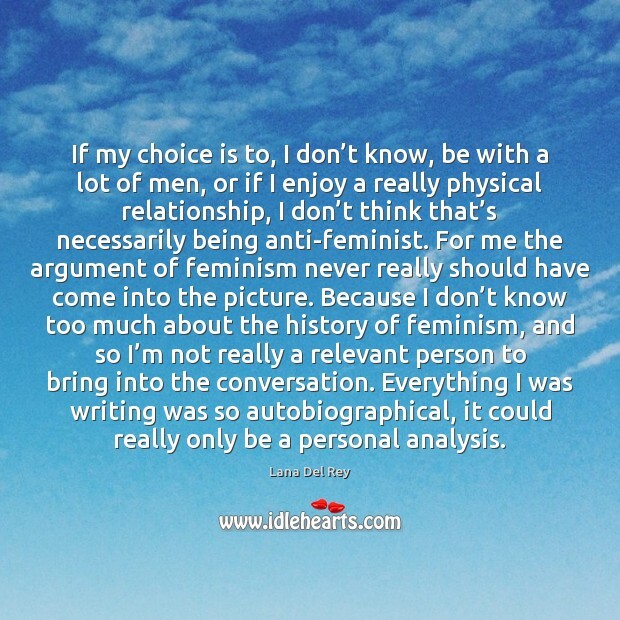 If my choice is to, I don’t know, be with a lot of men, or if I enjoy a really physical relationship, I don’t think that’s necessarily being anti-feminist. 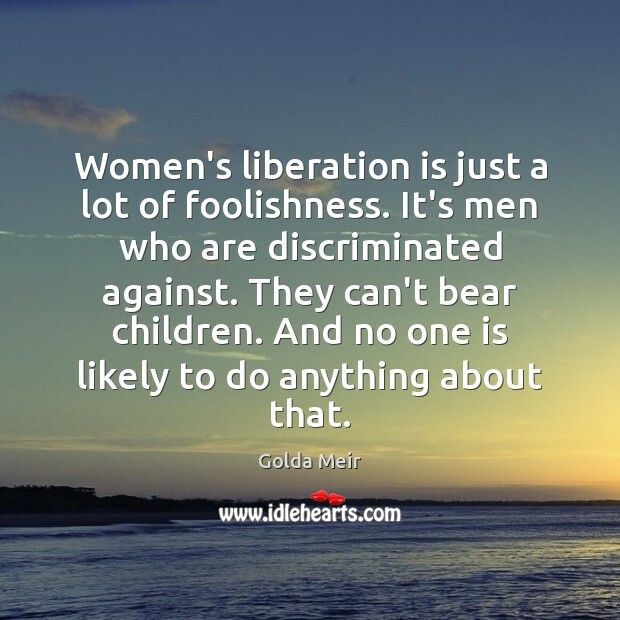 For me the argument of feminism never really should have come into the picture. Because I don’t know too much about the history of feminism, and so I’m not really a relevant person to bring into the conversation. Everything I was writing was so autobiographical, it could really only be a personal analysis. 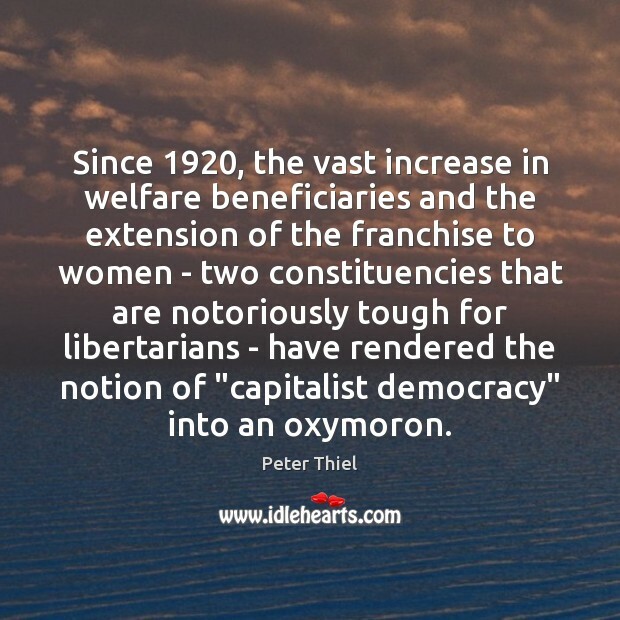 Since 1920, the vast increase in welfare beneficiaries and the extension of the franchise to women - two constituencies that are notoriously tough for libertarians - have rendered the notion of "capitalist democracy" into an oxymoron.